Finally, the long waited video featuring rap juggernauts has leaked. 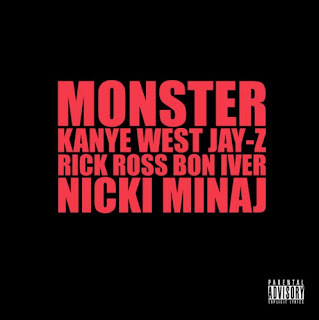 "Monster" is probably by far one of Kanye West's best collaboration songs. It is also Nicki Minaj's best lyrically out of any of her own songs, too bad she can't always spit like that. Anyway, the video is a little strange, but it is entertaining. I'd say it fits the theme of the song pretty well. What do you think? Watch below.